I have been playing this game for almost 3 years and I love it. But the low rating comes in due the fact that this game’s version, a.k.a. Global version, has been treated with less transparency then its Japanese counterpart. This lack of transparency is in much part due to the lack of laws in the US and other counties where global version is played. 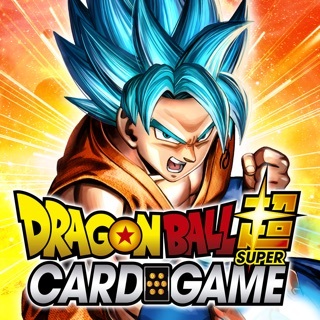 Namely, that the randomness of the characters acquired trough pulls with Gems that are obtained trough playing and by buying them is much less than the randomness used in the global version. It is important to know that in the Japanese version that rates for the probabilities of obtaining a character is clearly displayed in the Japanese version, but this is not the case for the global version. This, and the large data collected recently supporting the belief that the rates are tampered with has made thousand of players like me raise our voices in protest for the way Bandai/Namco os handling it’s business. I am a F2P customer, and I would never, I repeat, never spend a penny on this game. But there are other players that spend thousands of dollars, and they are being taken advantage of! Once this company comes clean and transparent about the rates, I would be more then happy to rate the game 5 starts because it truly is a beautiful game to play more so if you are a fan of One Piece like me. I don't know why there are so many reviews about BANDAI NAMCO 'mistreating' global players for OPTC. This game has same pull rates as for the JP version. OPTC was distributed to Japan before global. There's a couple of months for a difference. BANDAI NAMCO does not 'mistreat' its players or make 'cash grabs' there are minor differences. As for the price difference between the two on rainbow gems (in-game currency) it is different because we are two different countries. If you complain about it, go buy rainbow gems off a 2nd hand market on the internet. This game is lots of fun, no knowledge for One Piece needed. It tells the story from the beginning, it's artsy, wacky characters, amazing mechanics, everything is amazing. I don't even mind spending a few bucks on the game myself. I spent 100$ and got great things. The only thing is it's a gambling game if you plan on spending real money. You don't know what you get. But if you just hope and pray you'll get good stuff. I highly recommend this game to anyone looking for a solid mobile game. I love you BANDAI NAMCO.